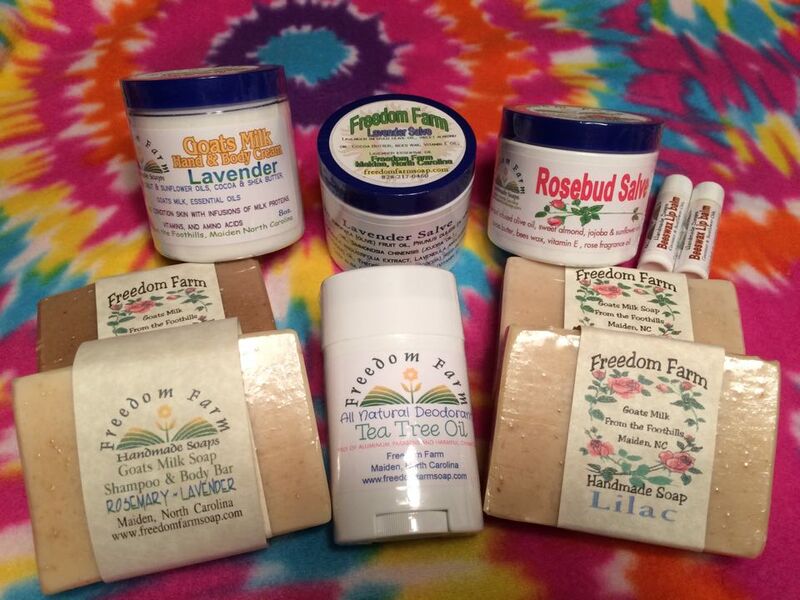 Welcome to Freedom Farm Soaps! STRAIGHT 8 - SPECIAL OFFER! For Him or for Her - Click for details! "Give Soap of the Month as a Gift"
Join Today and give a gift that continues all year! 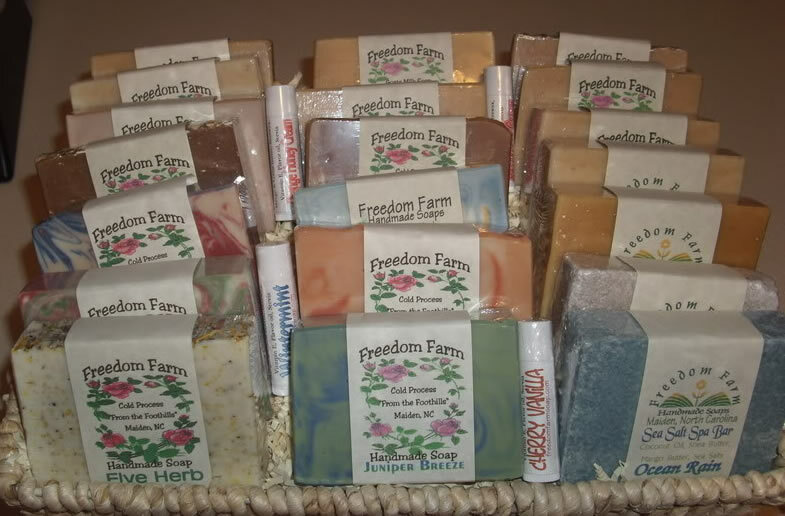 farm fresh soaps and speciality products and of course don't forget they make great gifts! going to be adding items back to the inventory as they are available. 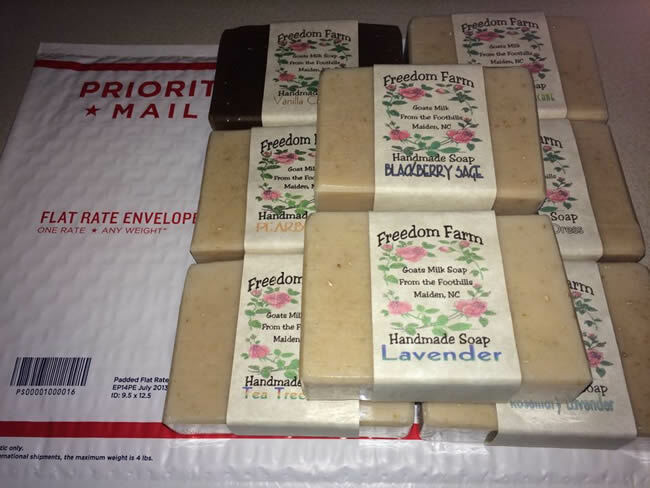 NEW Cold Process Bulk Soaps!!! NEW Goat's Milk Bulk Soaps!! !